With the relentless growth of renewable energies, energy storage, grid flexibility and decentralization are becoming increasingly important. This is precisely where digitization comes into play. Did you like this article? Please share it. Information and communication technologies offer great opportunities amid the transformation of energy supply. Many associate the catchword “energy revolution” with the objectives of global climate agreements, renewable energies and at best with countries that are comparatively successful in achieving these objectives. Few people associate the energy revolution with the catchwords “digitization” and “ICT” (information and communication technologies) – and yet that is precisely where we will find enormous potential that can make a significant contribution to the energy revolution. At first glance, the energy revolution does not seem to have much to do with digitization. Isn't it digitization which, thanks to mass production and the import of more and more mobile devices, is increasingly driving society towards a throw-away mentality and thus increasing per capita CO2 consumption? Apparently not: a study conducted by the University of Zurich in collaboration with Swisscom and WWF Switzerland examines the opportunities and risks associated with digitization in the context of the energy revolution, drawing some interesting conclusions. Information and communication technologies (ICT) have the potential to save 2.6 times more CO2 than is required for the production, distribution and consumption of end-user devices and infrastructure. The energy sector in particular offers great opportunities. As the study shows, the largest proportion of greenhouse gas (GHG) emissions consumed is due to end-user devices. Replacing stationary computers and older-generation systems with mobile devices, for example, has great energy-saving potential: the latter consume comparatively little electricity thanks to small, lightweight batteries. The authors also identify four thematic areas in which considerable amounts of CO2 can be saved. These include first of all cross-company “smart” logistics, based on the fact that companies use joint logistics solutions for their goods instead of separate ones. In addition, there are intelligent heating systems and smart home applications, smart power supply and demand side management, as well as co-working and car sharing solutions. While the energy consumption reduction potential of the latter two solutions is comparatively low, there is great potential in the areas of heating control and smart home systems for using ICT to reduce GHG emissions without offering end customers less convenience. With the relentless growth of renewable energies, energy storage, grid flexibility and decentralization are becoming increasingly important. This is precisely where digitization comes into play: while a single private energy producer or consumer cannot even come close to covering their energy requirements with their photovoltaic system, the situation is different for many energy producers in so-called intelligent storage networks. The success of this idea of an intelligent power storage network can be seen in the example of tiko Energy Solutions AG. The former Swisscom Energy Solutions AG, a subsidiary of Swisscom (Schweiz) AG in which the Swiss energy service provider Repower AG also holds a share, has its finger on the pulse of the energy sector. Put simply, to enable intelligent energy consumption at the individual level, a number of activation tools need to be put in place. These include data visualization, autonomous control systems and the connection between all users. The company tiko sells various products for end users in Switzerland and internationally: private electricity producers who own a photovoltaic system, for example, can increase their energy independence many times over by purchasing less electricity. This is made possible by a solar battery that can be connected to the tiko network. This battery thus becomes part of a pool of over 10,000 end-user devices, heat pumps, night storage heaters, batteries and other devices, and can intelligently compensate for fluctuations in the network. The flexibility of the connected devices can be used to compensate for the volatility of the electricity production from renewable energies. 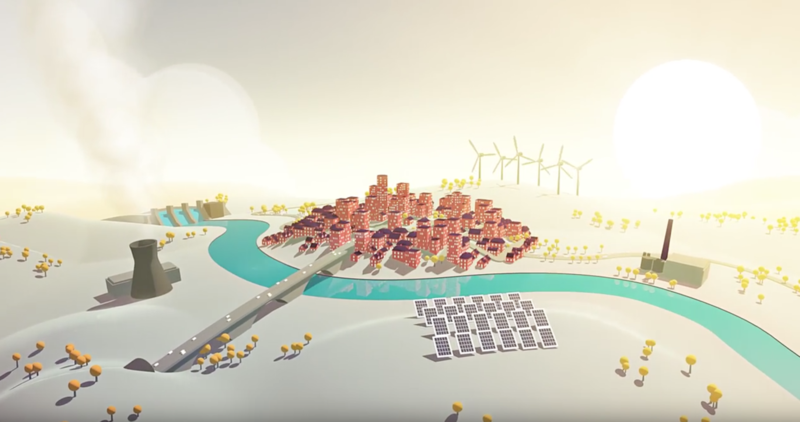 The tiko network thus acts as a virtual power plant, which in the meantime has grown into the largest real-time smart grid in Europe – with over 100 MW capacity, operating in several European countries. In addition, end customers will be equipped with a smart home system that visualizes consumption, makes it possible to control devices from any location and improves overall convenience. This approach is being well received both in Switzerland and throughout Europe. According to Sandra Trittin, co-founder and Head of Business Development at tiko, the huge potential for energy savings with such technologies lies not only in the surrounding countries, which are already very successfully converting to renewable energies, but especially in markets such as China or the United States, where a rapid development towards renewable energies has been observed over the past five years. When we look at further statistics on renewable energies, it becomes clear that there is some rethinking going on in many industrial nations, at least in the West, but also increasingly in the East, and that the energy revolution often goes hand-in-hand with strong state support. This development will continue to intensify in the coming decades. Last but not least, it also has to do with the rethinking of the end customer: this rethinking takes place on an individual level as well as on a national level. In particular, digitization has prompted end users to make use of new technologies to reduce their own environmental footprint. The first step is basically to collect, aggregate and digitize data that we can obtain from various energy activities (electricity, heating, heat pumps, storage, etc.). In the tiko example, this would be the installation of a control module on the heating system, which records the respective consumption data, then sends this data to a communication module. The third step is to connect the end users or their devices in a pool of an intelligent storage network which, as already described, can react to fluctuations in the network and thus compensate for the volatility of renewable energies. This, too, is a forward-looking model that satisfies a customer need and has already led to disruptive innovations in various areas: the “sharing” principle. In addition to increased investment in renewable energies, the liberalization of the electricity market in Switzerland in particular would make a major contribution to the innovative capacity of new digital technologies. About the author: Pia Schneider is an open innovation developer at Swisscom's Pirates Hub – the innovation hub of Swisscom. Pia is responsible for external communications for the different innovation initiatives and has set up an internal innovation community.